Many improvements have been made in the electronic cigarette industry in the last couple of years. When you buy an e-cigarette today, you can generally expect it to work quite well. However, as an e-cigarette user you’ve probably experienced huge, satisfying puffs of vapor as well as more than a few small ones that make you consider — even if only for a moment — picking up a pack of cigarettes on your next trip to the convenience store. It doesn’t have to be that way; with these simple e-cigarette tips and tricks, you can have a better e-smoking experience and produce large, satisfying vapor clouds more consistently. Whether you use an e-cigarette with an atomizer or cartomizer, the engine that vaporizes the liquid is basically the same; it consists of a metal heating coil wrapped around a wick. The wick collects liquid and brings it into contact with the coil. The heat generated by this process causes the wick to draw more liquid from the reservoir or tank. However, if the wick is already saturated, adding more liquid won’t cause it to produce more vapor. In fact, it may produce less vapor because the excess liquid drops below the wick and begins to block the bottom hole of the atomizer or cartomizer, restricting airflow. If you hear a gurgling noise when you puff on your e-cigarette, you’ve added too much liquid. The base fluid used to create an e-cigarette liquid contains a mix of propylene glycol and vegetable glycerin. Both substances turn to vapor quickly and at relatively low temperatures. However, propylene glycol is a better carrier of flavors and vegetable glycerin produces thicker vapor. So, the ideal e-liquid for most e-smokers contains a mix of the two. For example, Black Note e-liquids contain 50 percent vegetable glycerin for maximum vapor production; many e-liquids contain much less. Experiment with different e-liquids to find your ideal mix, or read e-liquid reviews to see what other e-smokers think of the latest products. Some e-smokers find atomizers superior to cartomizers because they have no filler material to restrict vapor from entering your mouth. However, you eliminate this benefit when you use e-cigarette cartridges because cartridges are packed with dense, saturated foam. Instead, try purchasing a hollow drip tip and adding e-liquid directly to your atomizer from a bottle. 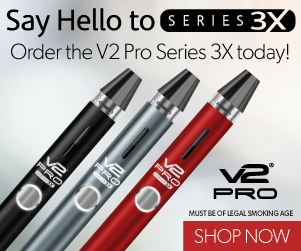 You’ll enjoy much larger vapor clouds, less airflow restriction and improved flavor. Volcano makes a simple drip system that works with any e-cigarette that has 510 threading, which includes 510 e-cigarettes, eGo e-cigarettes and most mods. If you have a multimeter and a bit of electrical knowledge, you can also try building your own atomizer coil. The VaporFi Bolt RDA costs $43.99 upon applying the automatic coupon embedded in my link and includes all of the supplies needed to build several soils. If your e-cigarette has a battery at least the size and capacity of a 650 mAh eGo e-cigarette, try swapping out your standard-resistance 2.5 and 3.0 ohm atomizers and cartomizers for a 1.5 ohm low-resistance attachment. These atomizers generate more power in watts using the same battery voltage, creating larger and more satisfying vapor puffs. The Volcano drip system mentioned above is available in three different resistances. The voltage of an e-cigarette battery drops slowly as you use it, but the resistance of the atomizer stays the same. This means that a partially discharged battery will produce a lower power level in watts than a fully charged one. If your e-cigarette battery has a high enough capacity to last for several days of normal usage and you suddenly feel like the vapor puffs produced are small and unsatisfying, it’s probably time to charge the battery. The higher capacity an e-cigarette battery has, the more vapor puffs it can produce while remaining at or near its maximum voltage. If you experiment with different types of cartomizers or low-resistance atomizers, you should be using an eGo e-cigarette or a large-battery mod, which I’ll discuss in the next section. With smaller batteries, you’ll get poor performance as these batteries can’t deliver power at high loads. Some, in fact, will stop working entirely when low-resistance attachments are used. USA-made electronic cigarettes or “mods” are designed differently from the original Chinese e-cigarettes; in a Chinese e-cigarette, the body of the e-cigarette is also the battery. In a mod, the body is a hollow box or tube and the battery is removable. These larger e-cigarettes hold high-capacity lithium polymer and lithium manganese battery cells made by companies such as AW, Sanyo and Sony, delivering power longer and more reliably. Products like the ProVari also include boosters that allow you to change their voltage settings. Increasingly, though, even better devices are appearing from manufacturers overseas — take a look at the VaporFi VOX II to see one of the latest and greatest. Electronic cigarettes don’t taste like real cigarettes. The nicotine also seems to enter your bloodstream differently. As a result, the two provide very different experiences. If you switch to e-smoking full-time, it won’t be long before you stop craving real cigarettes entirely. As a result, you can expect your e-smoking experience to be far more satisfying. Can’t get any vapor from my cape lights up and is charged but flashes red and did flash blue please help!